The AGM was well-attended, old & new faces. The present committee was re-elected en bloc and minor changes were made to the swarm collector list. Thanks to Mavis, Pam & Maggie M for the great tea & also those who brought goodies to eat. One prospective member was interested in loaning a hive and 5 members offered to be mentors. An apiary offer of land from Veolia in Alkham caused interest, not as yet the one in Elham. Interest was shown in a summer visit to a French apiary & museum. A bee & general knowledge quiz will be held on 28th February, tables of 8. A cup is at stake! 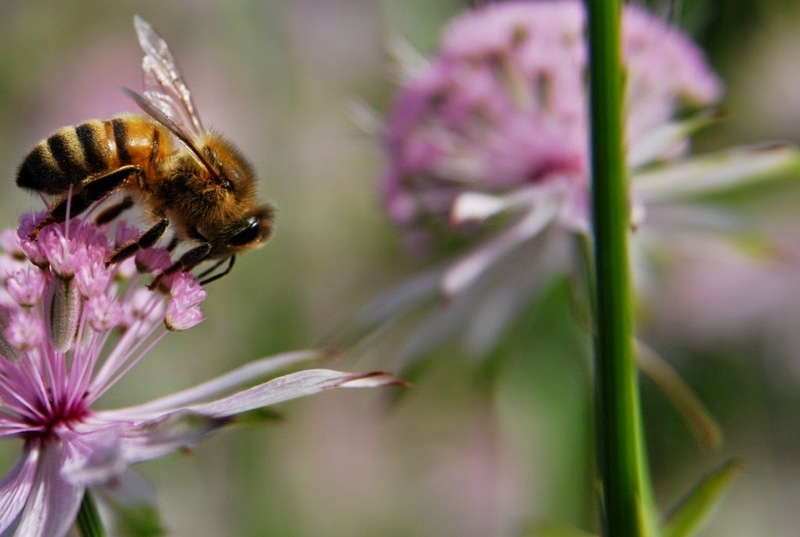 If you haven’t already signed up for the BIFA Day [Bee Improvement for All] on February 21st, do so asap, we will hold the cost of the day at £5 for DDBKA members till the end of January, so even more of a great offer. The details and forms are on our website. Bob Smith has been in contact, KSRC has found a new location! At present the equipment is in storage. The new venue is about a mile from Sittingbourne station in the Swale Skills Centre. This building is used for engineering training but the adjacent building will be re-fitted with labs and the KSRC equipment re-instated there by September 2015.Meanwhile, there are classroom facilities in the existing building and Bob can provide a pop-up microscopy lab if required. Initially, this facility will only be available Monday-Friday. A programme of courses will be put together which, again, will be aimed either at Improvers or at providing courses on beekeeping-related topics (eg skep-making) where individual clubs may struggle to fill places. Bob would be delighted to hear from you if you have suggestions for courses or you would like to become part of the tutor team at KSRC. They aim to have a schedule ready in the next few weeks. Ray Checksfield has been in contact, alarmed at the weight his colonies have lost during the nice weather of autumn; the queens were laying late and the brood had to be fed! Check yours for weight & make or buy fondant as a precaution. Mary will have more Apifondant at the January meeting. Vanes, 120 High St Dover 01304 206325, or Elizabeths Bakeries, 59 Cheriton High Street Folkestone 01303 275576 sell Baker’s fondant. Ring first; it is usually sold in 12.5 kg boxes. Heavy, but it keeps well if cool & wrapped. Try and make your own candy! Watch out for a buildup of dead bees behind the entrance and clear them. Visit of Irish Beekeeper [flyer attached] Wisborough Green Division W Sussex, is bringing over Jim Ryan from Thurles, Co Tipperary 1st, 2nd, 3rd & 4th February. Jim is well-known as a very good demonstrator of making beeswax products. His methods are simple, he makes these items with minimal equipment. Enjoy the beekeeping break, read some new books, do some repairs, and make your plans ready for the new season. Always good to have a plan, even though events usually intervene. Happy Christmas and good health for 2015 to you, see you in January. I have attached the 2015 subs form, Philip will be glad to hear from you!